Our pharmacies are centrally located in medical buildings and are easily accessible, where you will find exceptional service, expert support and the attention you need to manage your health. Our first pharmacy was established in 1996 and we continue to grow purely on our commitment we made in providing unparalleled service to our customers, like you. 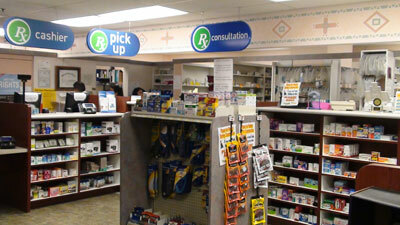 Our pharmacies are focused on serving unique needs of our customers in the community. We have introduced several programs to help our customers maintain good health. Our SIMPLY MY MEDS program caters to all kinds of customers in the community in synchronizing all your medications thus avoid multiple trips to the pharmacy. Under this program, we use multi-dose packaging systems designed to help our customers regularly take medications as they become due. This ensures our customers be compliant and stay healthy with fewer visits to the doctors office and reduce expensive medical treatments and avoid prolonged hospital stay. We have also introduced mobile applications for use on your smart phones in ordering refills and to get alerts, timely-reminders, dosage and other information on medicines. We continue to strive for improvement and other enhancements for us to care for your wellbeing. "Providing excellent patient care is the main priority here at Desert Hospital O.P. Pharmacy."